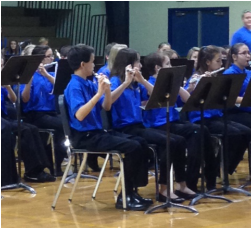 Students of the Wright City R-II District begin band in sixth grade. Students may chose to play flute, clarinet, saxophone, trumpet, trombone, or tuba. After playing on these instruments for a semester, a student may chose to audition for percussion. These auditions are held in January. Seventh grade band builds on the skills learned in sixth grade. Students are also given the opportunity to march in several local parades and participate in solo and ensemble festival in the spring. 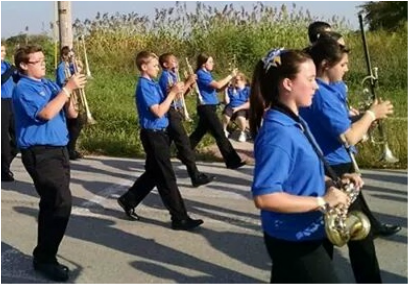 In the eighth grade, students are provided the foundation needed to succeed in high school band by marching in several local parades, performing concerts throughout the year, participating in solo and ensemble festival, and attending the E. Desmond Lee Middle School Honor Band. 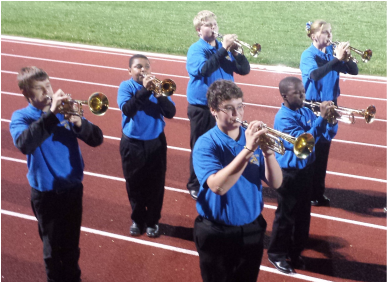 The Middle School Band performance schedule can be found on the "Schedule of Events" page.